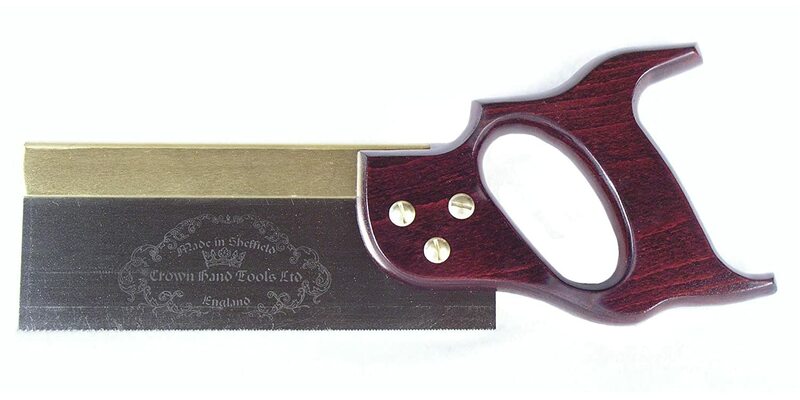 If you are cutting mahogany, oaks, pines, and walnuts, this dovetail saw will just be perfect for you. This is a very affordable saw with the traditionally elegant looking handle. However, you might notice that the handle is a little bit awkward to work with. It might need some tweaking for some users. Another thing that you can notice from this product is that although the handles appear to be classy, the material (rosewood) they used to make it is not really highly satisfactory. You might also want to adjust or tighten the screws before using them so you will not feel the blade wiggling every now and then. The steel blade is made of high-carbon and you can sharpen it as needed. There are different ways on how you can refine a blade. You may opt to do it by yourself or you can bring it to someone who can expertly carry it out for you. Learning how to sharpen, nonetheless, will be helpful in the long run. You just have to understand that there is a different technique on how to improve the teeth of dovetail saws compared to a knife or other saws. This product is a perfect bet for shaping soft woods. The first thing I like about this product is that it is not as pricey as the others but I have met numerous people who are happy with Zona 35-380 Thick Dovetail Saw. It gives a super fine cut. You can never go wrong if you are planning to make cabinets or drawers with this. Even if it is just 8 inches, it can be a great companion in creating precise joints for your furniture. The backbone of the blade (it is the iron part you see at the rear end) keeps the entire blade positively rigid. The kerf is narrow and the use of miter guide is advisable for a straighter cut. It may have lots of positive things but this product needs regular lubrication and proper care. Users have observed that it gets rusted faster compared to other saws. You might also want to save yourself some time for sharpening the saw before you use it as it gets dull easily. Do not let your tight budget prevent you from buying the best dovetail saw. 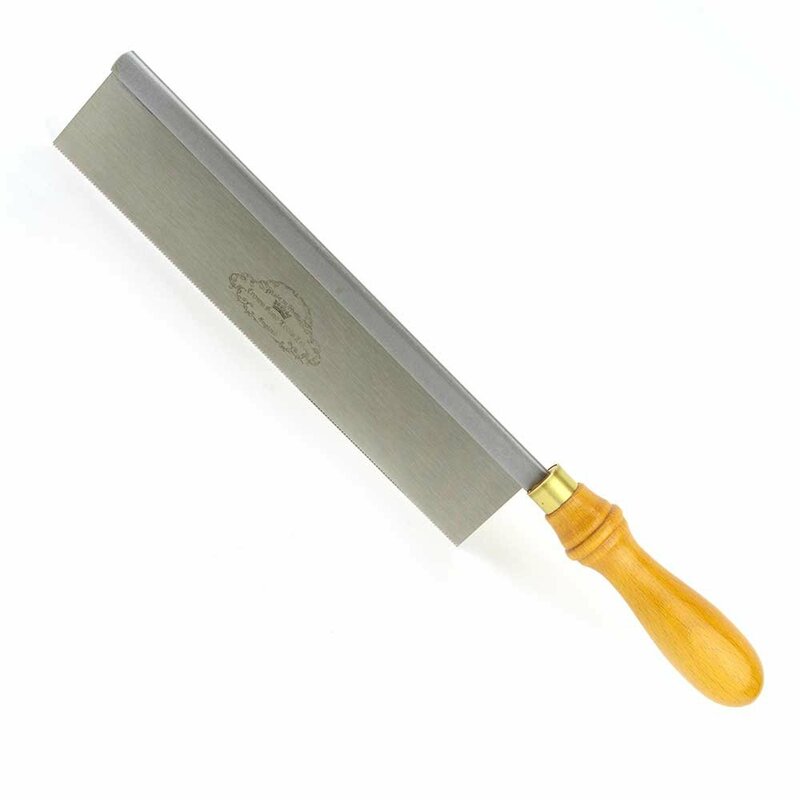 This product may be low-cost but it can give you highly satisfactory cuts for your carpentry projects. What I really like about this is that the metal strip that acts as the vertebrae of the blade lives up perfectly to its function. The entire saw is steady while you work. It does not produce too much noise, hence, it is perfect for apartments and other tight areas and you can even continue your handicraft at night! This will give you more time to finish your projects at a faster rate without causing sleepless nights or any kind of disturbance to your neighbors or housemates. The handle may not be comfortable for everyone. If in case you are one of them, feel free to customize your own. You might want to create something that will suit your personal preferences or you can simply buy a ready-made one from hardware stores. Unfortunately, this saw was said not to be effective with maple and oak woods. Some users are also not happy with the kerf size, claiming that it is too wide and needs adjustment. Whether you are learning woodworks or an expert carpenter, you will be happy with Shark 10-2204 Saw. It is one of those saws that have the most number of teeth per inches. Compared to others with just 18-20, this product has 24 teeth per inches. The number of TPI greatly affects the preciseness of each cut you will make. The higher the number of your teeth per inches, the finer the results you will be able to create. Another great thing with this economical cutting product is that it has a very narrow kerf. Others have thick ones which cause great stock removals. You will not experience the same issue when you are using Shark 10-2204 dovetail saw. This is perfect for small woodworks. The handle is very simple. You will not see fancy shapes or curves on it. However, it does not sacrifice the comfort and functionality of the saw. In fact, since it has smooth edges, it makes switching angles not stressful for the user. Precautionary measures are needed, however, since this product is extra sharp. I highly suggest for you to use of protective gloves with good grips because the handle can be slippery. Also, a number of users are disappointed with the claim of precise flush cuttings. Most gardeners or carpenters who are left-handed encounter problems with the equipment they make use of simply because they cannot maximize the use of their dominant hand. Irwin Tools ProTouch Dovetail Saw would be an exception for that. This particular saw has is structured with springs. This allows the user to switch the blade to left or right according to his preference or handedness. Most dovetail saws are great for dovetail junctions but this equipment is notably decent in cutting flushes as well. Tile installation millworks and door jambs would not be an issue if you have this product. Another concern for users would be the handle (which is why I will specifically talk about this in the discussion below. This product offers a highly ergonomic ProTouch handle. It does not only provide good grip for safety purposes, it also gives the user comfort and ease of use. You have to understand before buying this product that it has only 14 teeth per inches nonetheless. This means that it may result in a rougher cut as compared with others who have a greater number of TPI. This can be easily solved, though, with few strokes of sand paper. With all of the saws you probably have, you might ask me what’s in it for you. Well, let me give you a thorough description first. Dovetail saws are made for creating precise dovetail joints. The average length is 8 to 10 inches. They also have an average 14 to 17 fine teeth per inches. There are three types of handles: open, closed and turned. Do not expect a wide blade with dovetail saws. The blades are also unbendable and you can find a metal piece at the top. The main difference between dovetail saw and other cutters are the number of fine teeth. It makes cutting so accurate as other saws are great for ripping the wood. Sometimes, since the cutting is so detailed, carpenters do not even need to use sandpapers to polish it. There are two angles which you can use while you are trying to cut dovetail angles. Depending on the finished product you would like to achieve, you can turn to a ripping (60 degrees) angle or crisscross (45 degrees) angle. There are closed and straight handles in our list. The handles will give you the control you need to perform a certain task. Closed handles look very posh. It gives you great and comfortable grip as you work. You may also see dovetail saws with straight handle. This makes it easy for the crafter to turn the saw freely. This is very helpful if you are cutting shapes or dovetail joints. It will make two pieces of woods fit together perfectly in their junctions. The exceptional number of teeth per inch of a dovetail joint can make the carpenter create flawless finished products. But you have to acknowledge the fact that since the teeth are fine (or small) and are numerous than the others, working with a dovetail saw will take you longer time before you can finish. So make sure that you are not in a hurry when using this or else you will end up frustrated. As a rule, the more teeth per inch, the finer your cuts will be. On the contrary, if you have fewer teeth per inch, expect to have coarser finished product. Dovetail saws were created to cut while the user pushes it. Great innovations were applied, nonetheless, and push and pulls strokes were released in the market. A dovetail saw may be used as an alternative to folding saw and other cutters but they cannot replace the clear-cut products dovetail saws can make. I have chosen the 5 products which I highly recommend for different reasons, but we are now on the part wherein we have to make the final cut. Without further ado, let me tell you that the editor’s choice for this article is the IRWIN Tools ProTouch Dovetail / Jamb Saw, 10-inch (2014450). I am torn between Crown 188 and this product, to be honest, but, because of the budget or affordability of Irwin, it made my decision easier. If you have no issues with the price tag, please consider Crown’s exceptional choices of dovetail saws. Aside from the price, I took into careful consideration the handle. The comfort and safety it provides to the crafter gave huge points for this product. The ProTouch handle’s curve also makes sure that there is a ‘stopper’ between the blade and the handle in case the hand would accidentally slip. I also acknowledge their effort to make cutting tools for both right and left-handed people. Although it produces rough cuts compared to others, I did not see that as a problem since it can be easily resolved with a use of sandpaper. I hope this article was able to make things clearer to you. Did we miss anything? Please tell us through the comment box below!